The beginning of a new year brings an opportunity to reflect on the past year and set priorities for the next twelve months. With the completion of my third full year at Fiduciary, I am happy to report that we are fully in the midst of our multi-year reinvestment program and are seeing the early returns of our efforts. Helping clients achieve their financial objectives through distinctive client service is Fiduciary’s raison d’etre. However, measuring success on an aggregate annual basis is a challenge given that our impact and services are customized to each individual client. As a result, I look to our continued ability to maintain 98% client retention, our ability to attract and retain excellent professionals and the increasing number of new clients—who after evaluating other providers, choose Fiduciary—as evidence of fulfilling our mission. On these metrics, 2017 was a particularly strong year. We added four new officers to our team, which provided for both thoughtful generational transitions from retiring officers, and added capacity and complementary skillsets that will benefit clients. The firm earned 14 industry awards, including “Best Independent Trust Company” from Family Wealth Report and “Best Wealth Manager” from Massachusetts Lawyers Weekly. We launched a donor-advised fund program with Fiduciary Trust Charitable to provide greater flexibility in satisfying clients’ charitable needs. Our custody services to family offices, RIAs and individual trustees continued to gain market validation. And, throughout the year, our investment professionals navigated the uncharted global markets that began with interpreting the impact of the Trump presidency and finished assessing significant tax law changes. 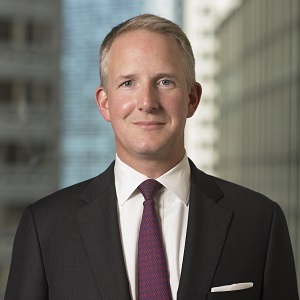 With the addition of Rob Jeffers, our new Chief Operating Officer, we launched initiatives to enhance our client experience, including new technologies and specialists to support our operations. These initiatives have refined processes so that our professionals can focus more time on our clients, and delivered significant environmental benefits by reducing our paper consumption by over 30 percent. As we look forward to 2018, providing exceptional service and guidance to our clients continues to be our top priority. We fundamentally believe that a private, independent firm is the most successful and sustainable way to assist families and non-profits with life’s financial puzzles. We do not aspire to a manufacturing paradigm based on product pushing. Instead, we believe in the partnership of high-quality professionals—supported and empowered—with great clients. Given these beliefs, the coming months’ activities will include continued enhancements to our investment approach, the roll-out of a new online client portal, continued recruitment of high-quality professionals and our institutional stability and soundness. I and my colleagues are proud of the work we have done on behalf of clients this past year and look forward to continuing Fiduciary’s long history of distinctiveness.